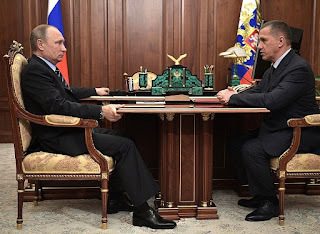 Vladimir Putin met with Deputy Prime Minister and Presidential Plenipotentiary Envoy to the Far Eastern Federal District Yury Trutnev. 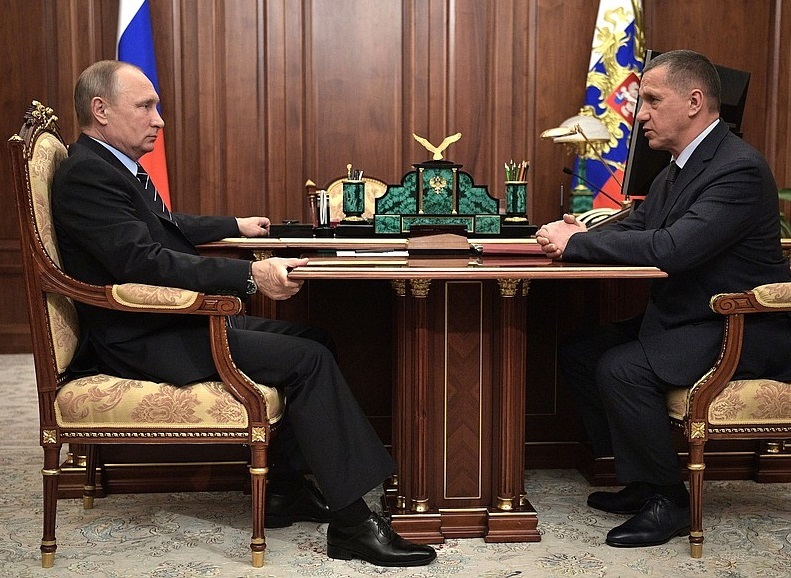 Vladimir Putin with Deputy Prime Minister and Presidential Plenipotentiary Envoy to the Far Eastern Federal District Yury Trutnev. 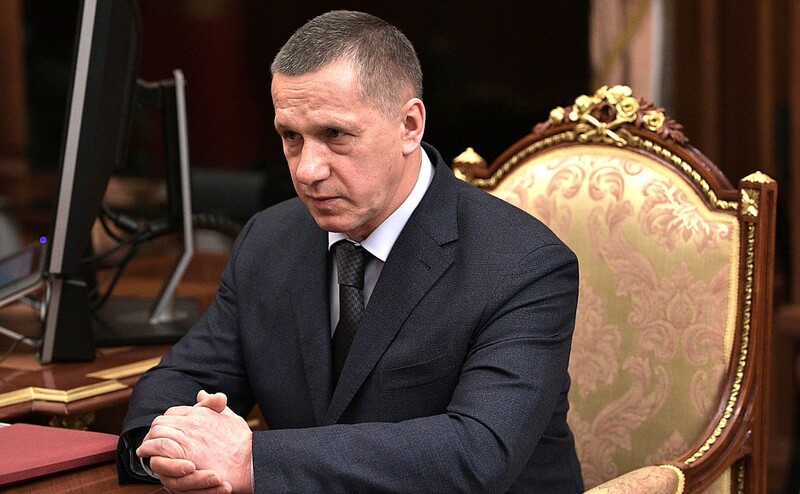 Mr. Trutnev, please report on the situation in the region. Go ahead, please. Mr. President, we are working as per your instructions. As of today, 15 federal laws have been adopted on the development of Russia’s Far East. These laws relate to creating priority development areas, a free port, the introduction of tariffs, simplifying visa requirements, implementing the under keel fishing quota program, and a number of other laws, as well as 67 Government resolutions. Have the documents on the under keel quota program already been adopted? Have the law and regulations on this been enacted? Are they working? Deputy Prime Minister and Presidential Plenipotentiary Envoy to the Far Eastern Federal District Yury Trutnev. The under keel fishing quota program is up and running, and we are monitoring it. Regular meetings are held with the Government on this issue. All in all, the process has been launched. Regarding the general situation, fixed capital investment increased 110 percent compared to the same period last year. Construction volume increased 22 percent. All the construction projects that were announced are progressing. Overall, 637 projects worth 2.11 trillion rubles have been devised for Russia’s Far East. Mr. President, we have a clear understanding that these projects to build new enterprises have yet to be completed, but work is underway. As of today, 35 new enterprises were built (I have photos with me and can show them later). This number will reach 85 by the end of the year. Private investment in Russia’s Far East is expected to exceed 115 billion rubles, and 5,500 jobs will be created. We currently have a multiplier effect of 10, which means that we are able to raise 10 rubles from private funds for every ruble invested by the state. This investment benefits all types of industries: manufacturing, agriculture, logistics and transport. In addition to these efforts, we are working on a number of high-technology projects (following up on your review), and today these projects account for 19 percent of the total investment. We understand that this is not much. To remedy the situation, along with Far East Development Fund, RUSNANO and the Russian Venture Company, we are about to create an investment vehicle for attracting and developing new technology in Russia’s Far East. We are also implementing the other laws. 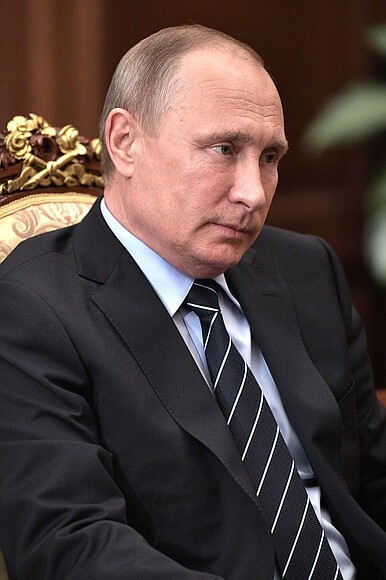 0 Comment to "Meeting with Presidential Envoy to the Far Eastern Federal District"